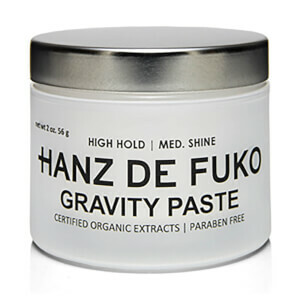 Discover Hanz de Fuko at Mankind. A revolution in hair for all of your styling needs. 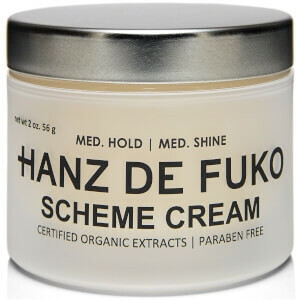 Browse a fantastic range of Hanz de Fuko at Mankind. Hanz de Fuko is a male hair styling brand which was created by David Alfonso and Christopher Zent, in 2009. Friends since their childhood the pair looked at a creative and unique gap in the male grooming market. The buddies behind the brand focus on embracing individuality and adding to personal style to create the ultimate look for any guy. As well as focusing on shaping your own unique image, the brand commits to encouraging having fun and living with purpose, creating hair care products that reflect their ideologies. Follow the lead of the two hair care pioneers and mould your own identity! Known for being innovative and unique, this stylish hair care range aims to 'bring out the individual artist' in everyone. So, whether you choose the Claymation hold clay for firm hold or the Modify Pomade for definition and high shine, this modern brand will help you take hair styling to another level and embrace your artistic style. No matter whether you are looking for a long-term styling solution, or you simply want to get in a reliable hair wax or hair gel to call upon for special occasions, make this your go-to brand. 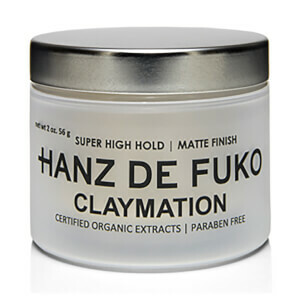 One of the most renowned products from Hanz de Fuko is their best selling 'Claymation' which has a unique formula which provides long lasting hold with a pinch of real 'quicksand' for the perfect hybrid formula. You can achieve the perfect quiff, or add a sleek finish to your style with this all in one wonder product. Ultra-mattifying hair clay Quicksand from Hanz De Fuko offers a high hold and dry-matte finish. This innovative, texturising product contains soft granular rock, creating a gritty texture to eliminate excess oil from your hair and scalp. Combining a styling wax with dry shampoo, it's the ultimate hair clay for oily hair to ensure it stays put with zero shine.